Please note this event is not held at the BDC. 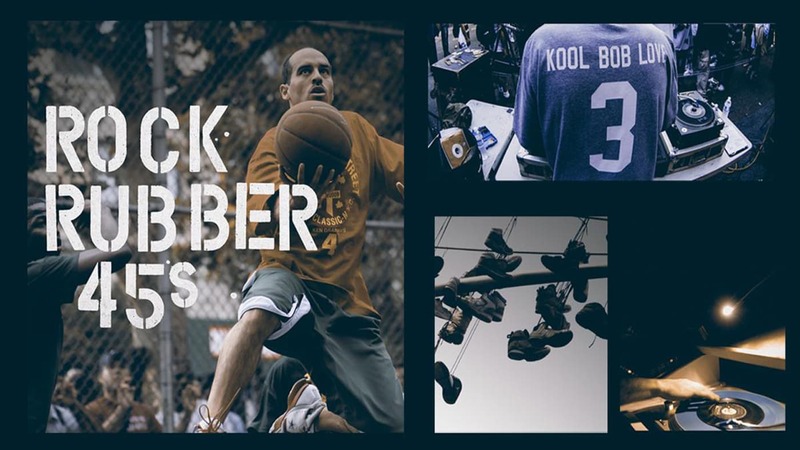 ROCK RUBBER 45s is a cinematic odyssey exploring the connectivity of global basketball, sneaker, and music lifestyle through the firsthand lens of authentic NYC culture orchestrator Bobbito García. Q&A with the director, Bobbito Garcia, to follow the screening. The film explores García’s youth dealing with mistreatment, educational quandaries, identity, and loss as well as his ascension to self-determination as an adult freelance creative. The ballplayer/author/DJ/filmmaker has carved an independent career that has inspired millions throughout the world and has affected the growth and direction of the footwear, hip-hop, and sports industries in the process. BOBBITO GARCIA NYC native and world-renowned DJ Bobbito García is the critically acclaimed author of Where’d You Get Those? NYC’s Sneaker Culture: 1960-1987 (Testify Books). The former NY Knicks/MSG Network halftime reporter was the voice of EA Sports’ popular NBA Street video game and TV host of ESPN’s “It’s the Shoes” series. In 2007, Nike released seven co-designed Air Force 1 sneakers bearing his signature. As an award-winning filmmaker, Garcia has directed three documentaries, Doin’ It In The Park: Pick-Up Basketball, NYC, Stretch and Bobbito: Radio That Changed Lives, and Rock Rubber 45s. Currently, “Kool Bob Love” produces his tournament Full Court 21™ All World in four continents, and co-hosts NPR’s “What’s Good With Stretch And Bobbito” podcast.